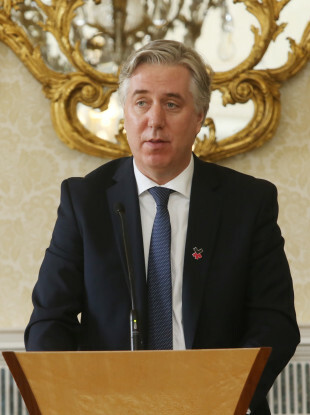 WORKERS AT THE Football Association of Ireland (FAI) who are members of Siptu have called for an explanation for why they had to endure pay cuts during a period where former CEO John Delaney reportedly had his rent paid for by the FAI. Yesterday, the Sunday Times reported that the association paid €3,000 a month for Delaney to rent in a property in Wicklow since 2016. That report came after Delaney stepped down as CEO of the FAI on Saturday following Ireland’s 1-0 victory over Gibraltar, following a week where the Times also reported that Delaney had given the FAI a €100,000 bridging loan. The FAI said that the outgoing CEO would be moving into the newly-created position of Executive Vice-President. In a statement this afternoon, Siptu sport sector organiser Denis Hynes said members were “particularly incensed” by reports concerning the rent payments. Hynes said that Siptu workers at the FAI had to wait until January of this year until pay that was cut in 2012 was restored following “long and difficult negotiations”. “Our members are calling on the FAI to immediately make a statement on its exact financial arrangements with John Delaney,” he added. Further, they demand that the Board explain its decision-making processes in deciding to reimburse its adequately paid CEO while at the same time stating that it could not find the monies to restore the earnings of workers who were dedicated to developing football in communities across the country. Delaney, along with other FAI delegates, is due to address an Oireachtas committee next month. Email “FAI workers call for explanation on Delaney rent payments while they endured pay cuts”. Feedback on “FAI workers call for explanation on Delaney rent payments while they endured pay cuts”.